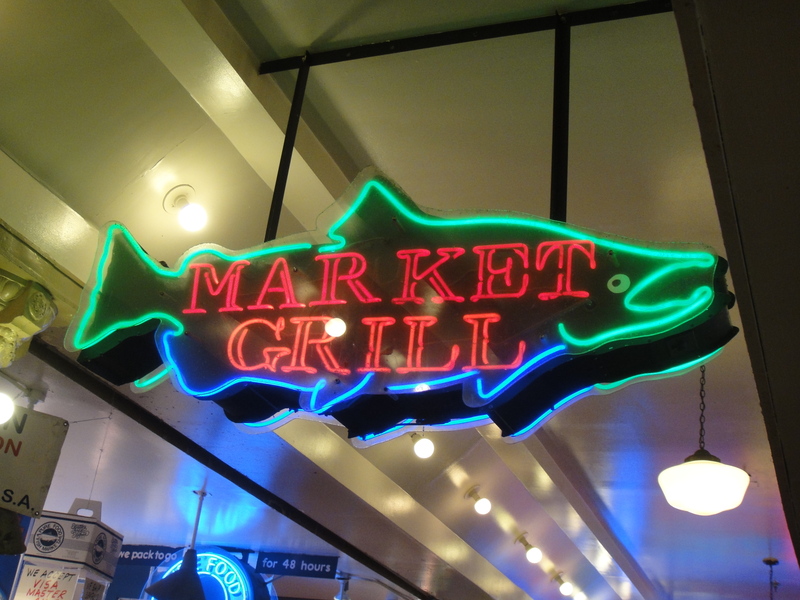 We fought through the crowds at Pike Place and ate lunch at Market Grill. There are only ten seats in the entire place (counter seating) so my parents and I were lucky enough to score seats. Poor TM had to stand. 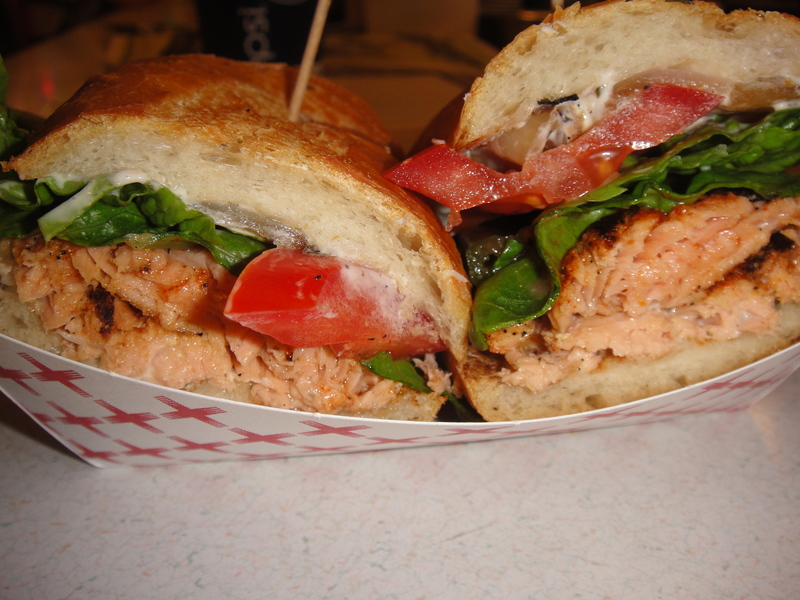 TM went with the blackened salmon sandwich which surprised me because he usually does not like cooked salmon. It was perfect with the homemade tartar, lettuce and tomato. My parents and I all ordered the halibut sandwich and got it blackened as well. Mom couldn’t stop raving about the bread and wanted to buy a loaf to take back with us. The fish was fresh (I’d imagine it was caught that morning) and plentiful. Our server told us the clam chowder is amazing so we bought a couple bowls to share. 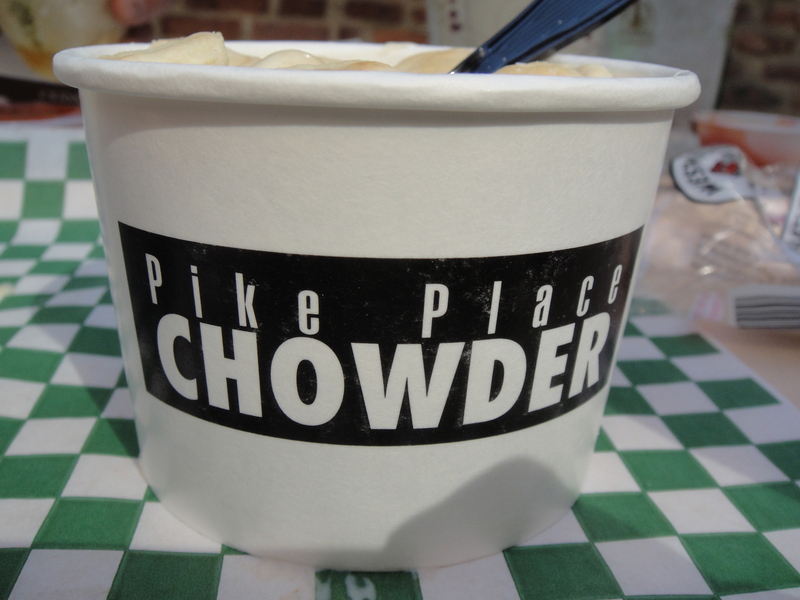 It was great and warmed us up real quick but I think Pike Place Chowder might win the battle of the New England chowders. I can’t exactly pinpoint why because the chowder at Market Grill was pretty tasty but you’ll just have to trust me on this one. It was a little on the pricey side for lunch but definitely worth the trip. If we go again, I’d love to try the prawns plate with brown rice. Or another sandwich with their homemade rosemary mayo since the bread was so—-o good. 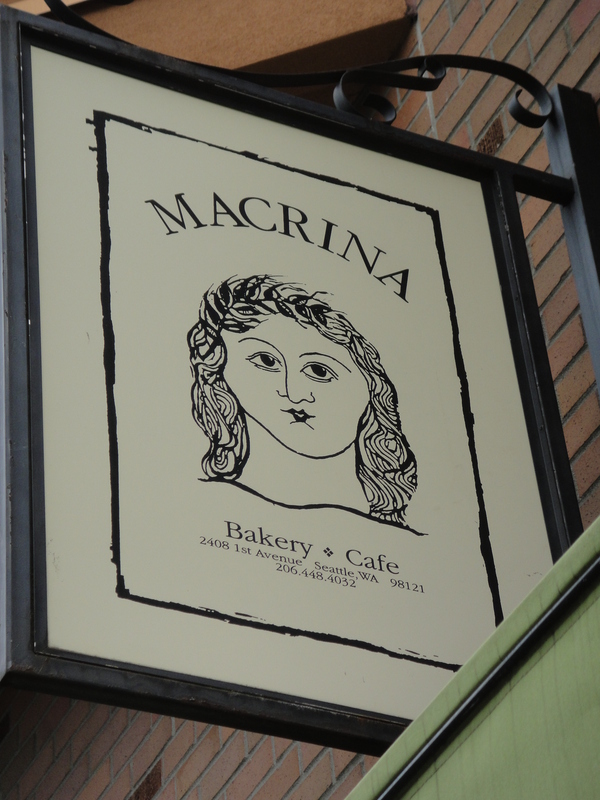 I was stoked to find out that Macrina Bakery was literally next door to our condo that we stayed in! Why, you ask? 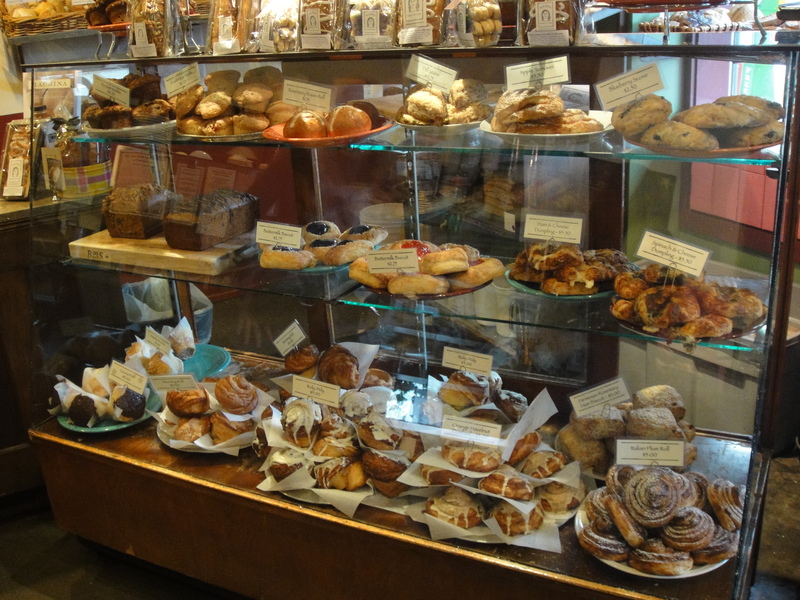 Macrina Bakery was voted one of the Top 10 Best Bread Bakeries in America in Bon Appétit magazine, that’s why. We stepped in and smelled doughy, baked heaven. There were so many things to choose from! We had a hard time deciding on a lil’ something sweet or a lil’ something savory. Since we couldn’t decide, the only thing we could do was to indulge in something sweet AND savory. Dad went with the ham and cheese dumpling (right). 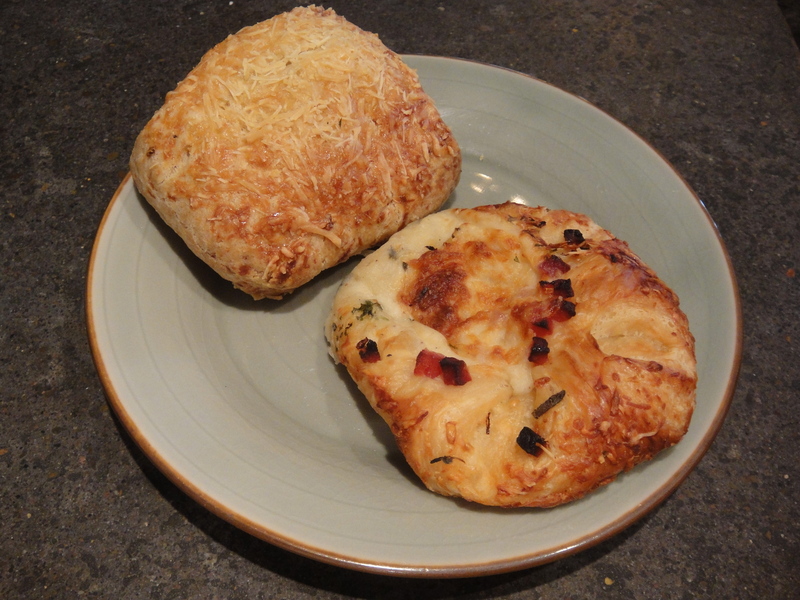 It was a flaky pillow stuffed with gruyere cheese and bits of ham on top. Obviously it wasn’t enough because Dad asked, “Where’s the ham?” TM went with a parmesan rosemary ham biscuit. It was a little dense but very flavorful. Both were excellent when warmed up a bit. 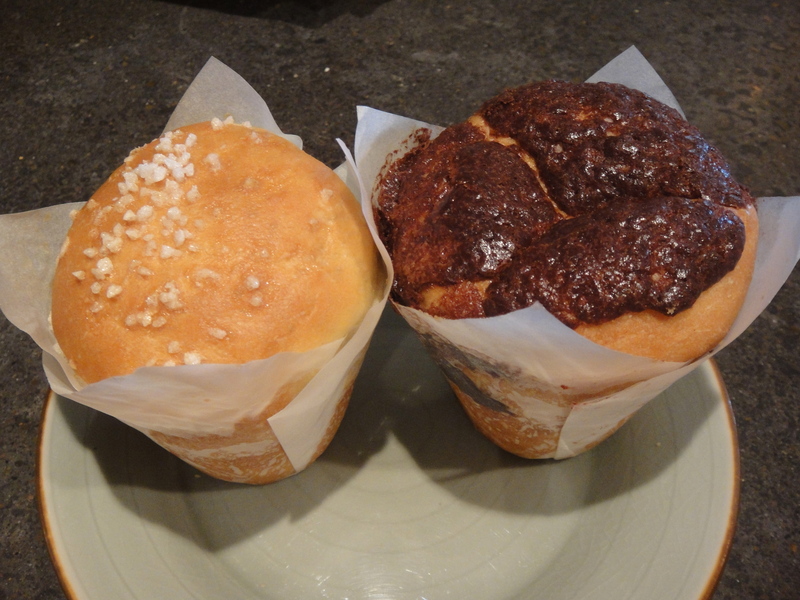 I saw the word “nutella” and knew I just HAD to try the nutella brioche. I loved the kosher salt on top to give it that salty/sweet combo and there was a huge pocket of nutella in the middle! I’ve never had anything nutella that was short of amazing. This cocoa puff is not to be mistaken for the other cocoa puff or the cereal. This cocoa puff had a pocket of cocoa pudding-ish goodness inside the bread with some chocolate on top as well. 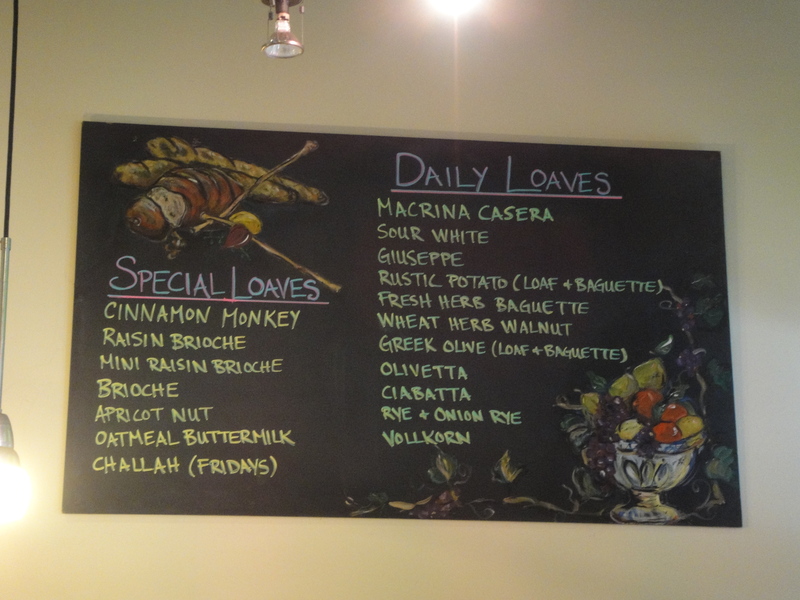 There were so many other things I’d like to try from Macrina Bakery. 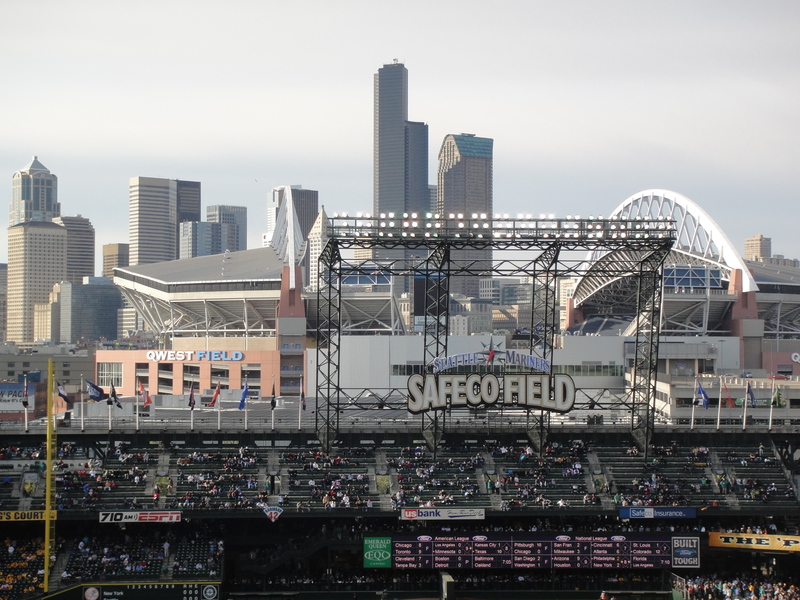 I would definitely love to make another stop there the next time I visit Seattle! TM and I tend to travel with our stomachs. I’m pretty sure that is evident by this blog. The problem is, our eyes are often bigger than our stomachs. 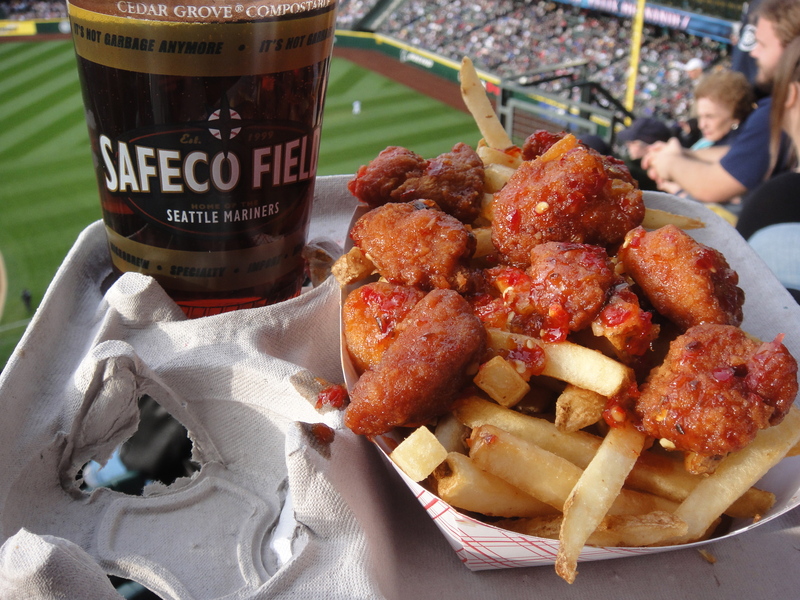 I did quite extensive research before our trip to Seattle and typed out an itinerary listing where we’d eat for each meal and our mode of transportation. There weren’t enough meals in the day for everything I wanted to try so we ended up with some midday snacks and late night snacks – a.k.a. dinner #2. My parents came on this trip with TM and I. (They actually “funded” it since the free airline credit we used was theirs!) 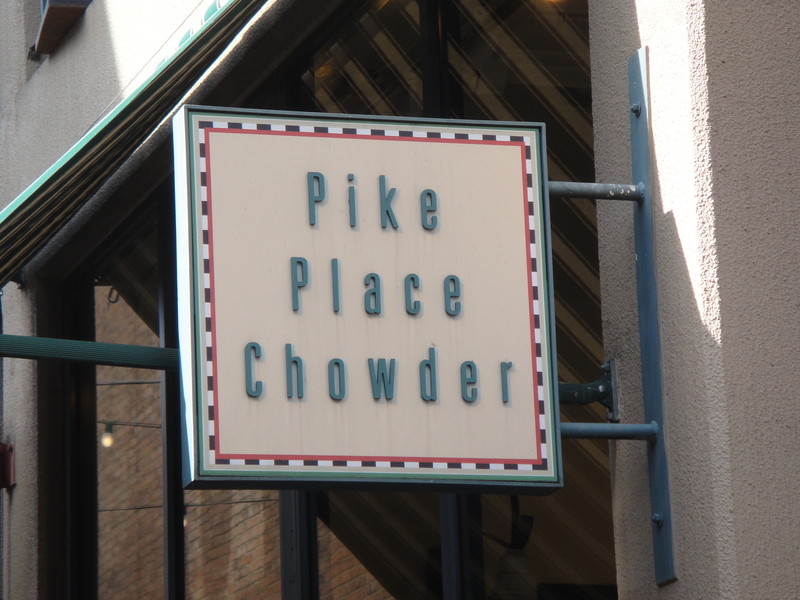 After checking in at our Belltown condo, we walked over to Pike’s Place Chowder for an early dinner. We got there right before they closed at 5 PM and ordered New England clam chowder and some sandwiches. I got a clam chowder / crab roll combo and TM got a clam chowder / bay shrimp roll combo. 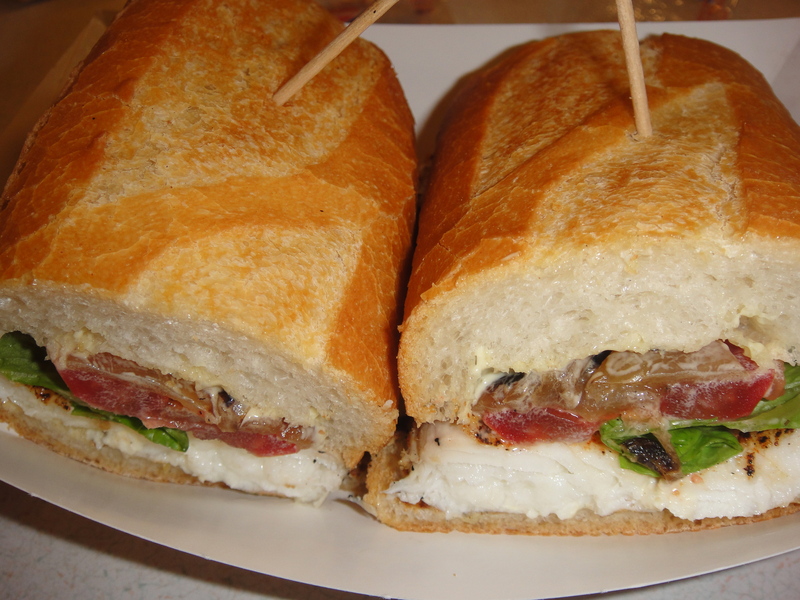 Both sandwiches were quite excellent but the chowder was definitely the star of the meal here. 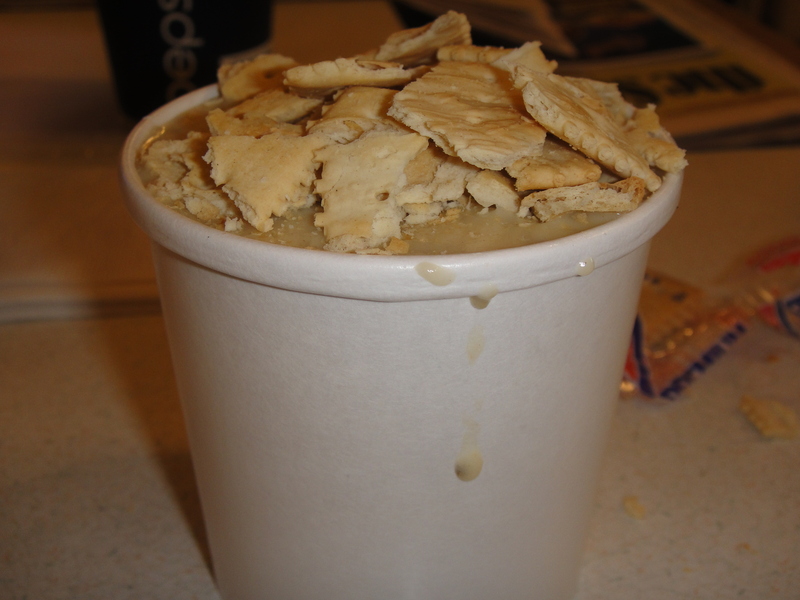 TM usually doesn’t eat clam chowder but he was okay with this one because it was so fresh that it didn’t taste fishy. Mom and Dad shared a large chowder and split a full crab roll. 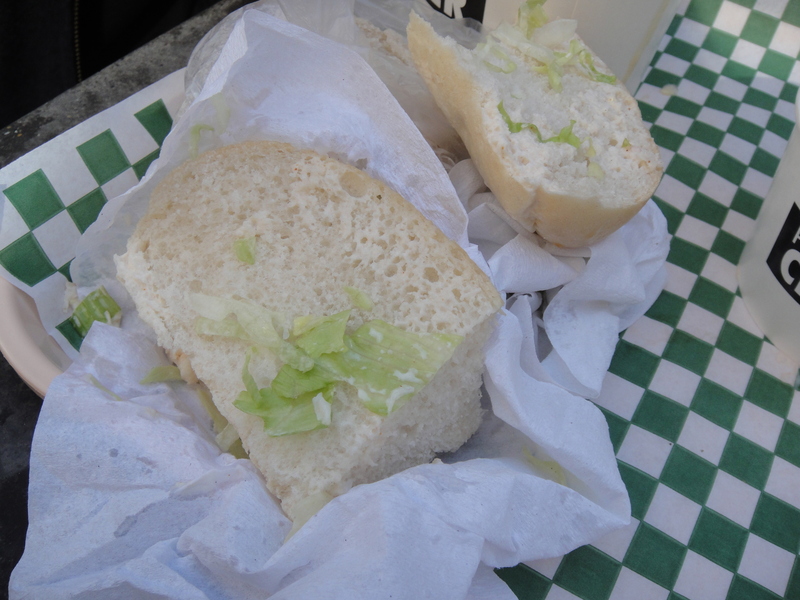 The dinner was great until for some unknown reason, Mom dropped all of the innards of her sandwich onto the ground! 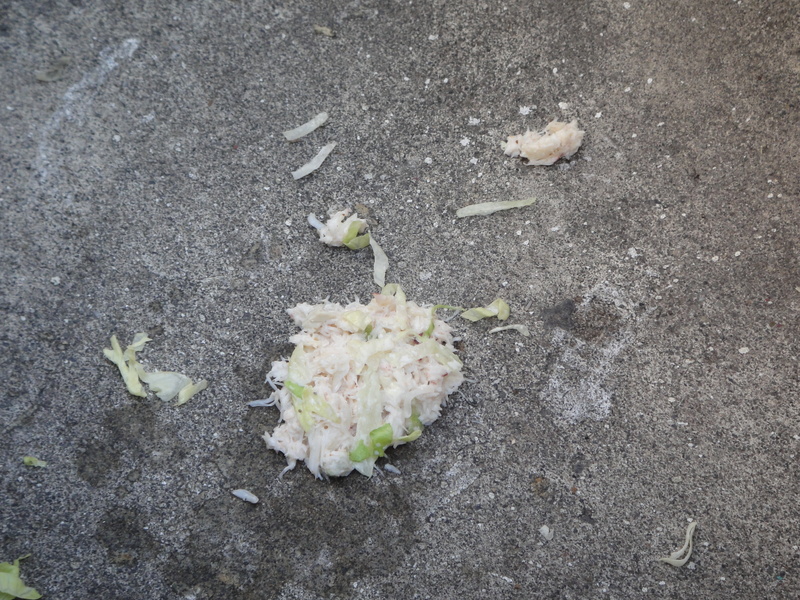 It was quite a tragedy and all she was left with was bread and a little lettuce. We all thought the chowder was some of the best we’ve ever had. 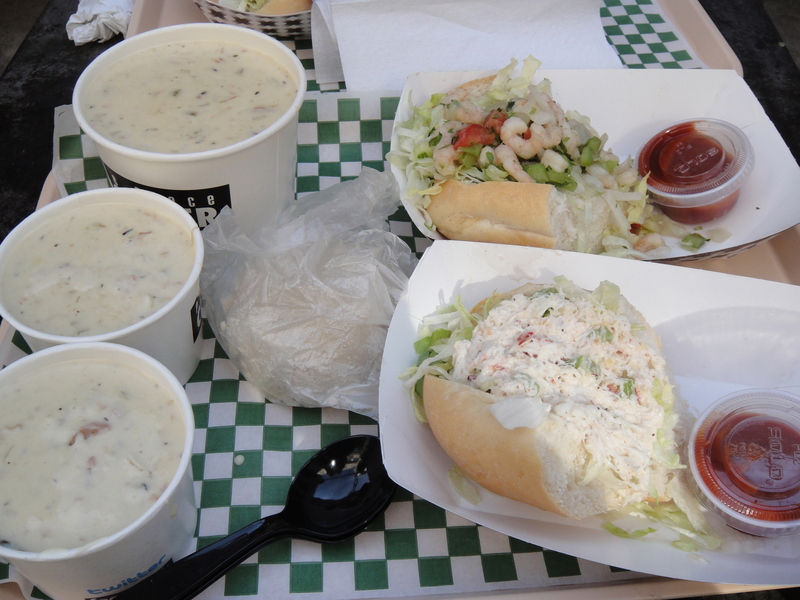 They have various kinds of chowder that I wouldn’t mind trying the next time we go. I wanted to stick with traditional New England style this time around for comparison reasons. 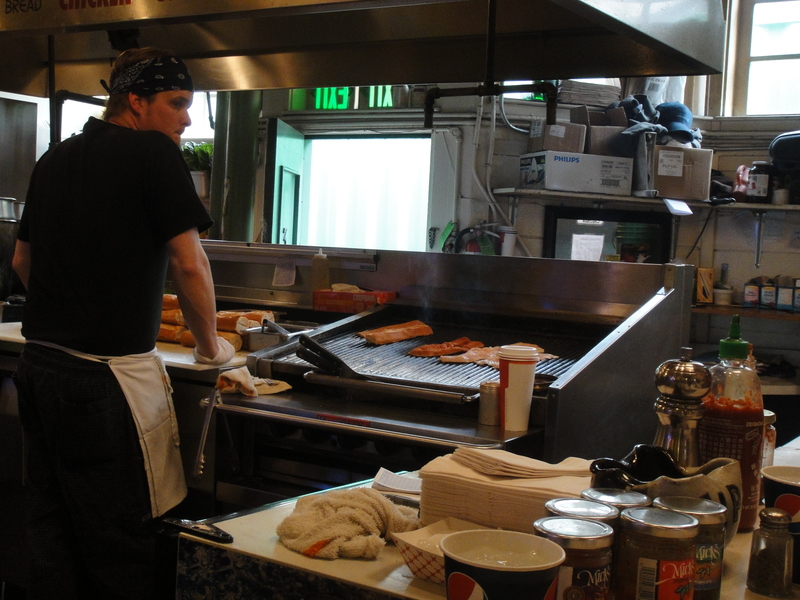 You are currently browsing the For the Love of Food weblog archives for June 2011.